Hey Everyone!! Candace here from Candi O. 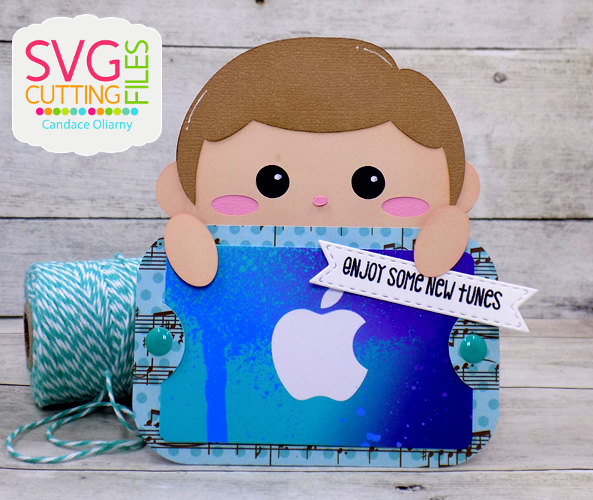 Designs and it's my day over at the SVG Cutting Files Blog and I'm showcasing two new files that will be available tomorrow ~ Girl Bunny Ear Peeker and Boy Gift Card Peeker. These peekers are just too cute and are so fun to make to give someone a gift card!! !